Thank you TravelSafe for publishing this amazing article: Posted Oct 28, 2016 2:15:09 PM in All In Good Fun by Amanda Hand. The timing is PERFECT for this spooky season! Traveling around the world is not always rainbows and butterflies. There are some spooky destinations out there many travelers wish they could unsee. We put together a list that highlights a few spots that will give you goosebumps. 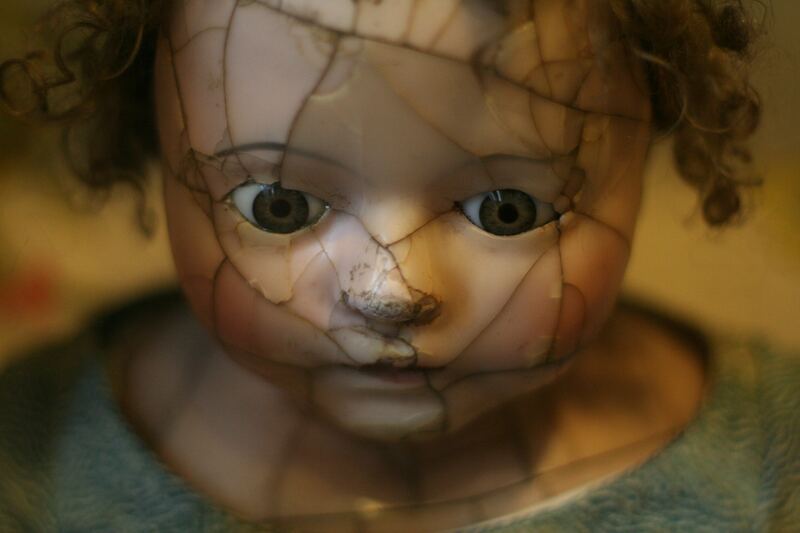 Here are 5 honestly Creepy Destinations you may or may not want to miss. 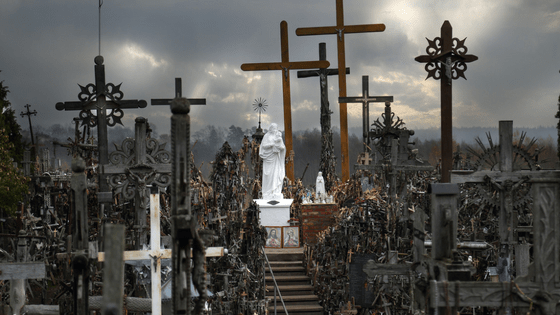 Located in northern Lithuania, the Hill of Crosses is a site of pilgrimage decorated with over 100,000 crosses. While the exact origin of the site is unknown, it is thought to have started during Bloody November, more commonly known as the November Uprising, 1830-1831. Families were sometimes unable to locate bodies of the deceased, and by way of remembrance began placing crosses where the hill fort previously stood. The Lithuanian government has bulldozed the site multiple times. Each time, locals have rebuilt the site to be bigger and better. There aren’t many things out there that are creepier than the remains of a dead corpse. Except, perhaps, the millions of remains located underground in Paris, France. Known as the Barrière d’Enfer, or Gate of Hell, the ossuary served as an artful solution to two major problems city officials were facing: cave-ins that began in 1974 and overflowing cemeteries. Remains from the overflowing cemeteries were used to reinforce a series of underground tunnels. 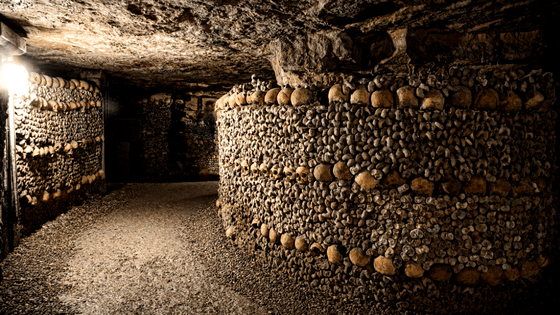 Now tourists are able to tour the catacombs and feel the chills of thousands of past lives artfully stacked all around them. Just don’t get lost like some teens recently did for a night or two. Legend has it Don Julian Santana Barrera discovered the body of a drowned girl by the water. Shortly after, he found a doll that he assumed was hers. Out of respect, he hung it in a nearby tree. Julian became haunted by the ghost of the girl and continue to hang dolls around the island to appease her spirit. He was eventually found drowned in the same spot he had discovered the girl. Visitors can visit the island, just south of Mexico City, and see for themselves all the dolls hanging from the tree. The island is said to still be haunted by the girl, and Julian as well. Some visitors have reported seeing the dolls wink and gesture. We have a feeling this island would have Chucky feeling right at home. Sarah Winchester, widow of gun magnate William Winchester, believed that she needed to create a space for all the spirits killed by Winchester guns. 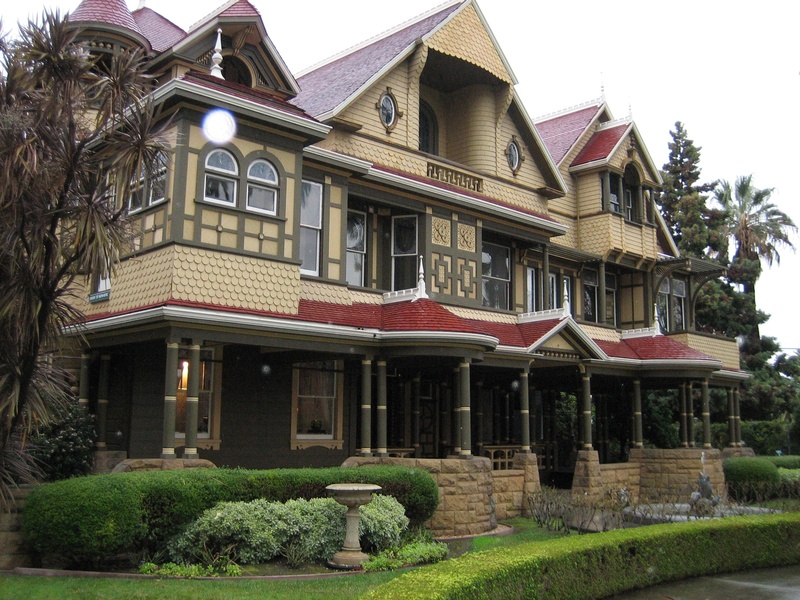 Thus, the Winchester Mystery house was born. Construction began in 1884, with Sarah believing as long as construction continued, she could continue to live. There was no master plan, just the instructions to keep building. There are stairs going nowhere, fake doors, and windows in the wrong spot. All of it was to appease and house the spirits. Upon her death in 1922, construction ceased. Now the mansion is open for tours, but don’t wander off on your own. With around 160 rooms, you’re bound to get lost. 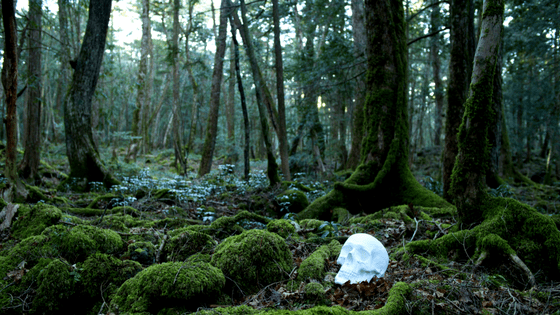 Located at the base of Mount Fuji, Suicide Forest, or Sea of Trees, is a popular tourist destination known for being a suicide and ghost site. There have been over 200 hundred suicide attempts in Suicide Forest, making it one of the top three suicide sites in the world. This high number of suicides has led government officials to place signs at the entrance asking people to reconsider. A quick stroll through the forest can lead to the discovery of abandoned campsites, nooses, and bones.